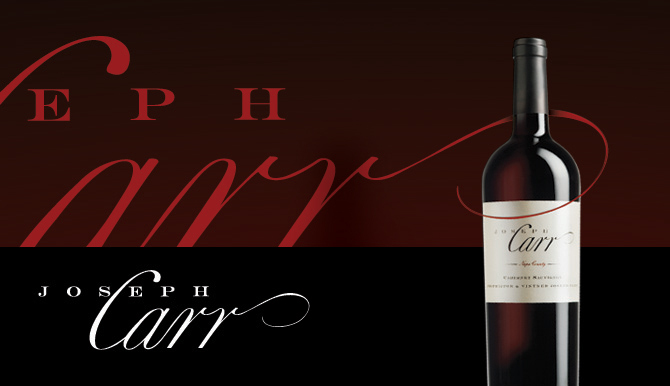 Joseph Carr employs a European sensibility in winemaking that emphasizes balance, complexity, and elegance to produce high-quality, handcrafted, ultra-premium Cabernet Sauvignon, Merlot, and Chardonnay. Joseph Carr sources fruit from the finest vineyards in Northern California’s most prestigious appellations—St. Helena, Rutherford, Stags Leap District, Alexander Valley, and Sonoma Coast AVAs—but remains dedicated to offering exceptional value. Joseph Carr’s current annual production is approximately 50,000 cases. Napa negociant Joseph Carr blends rich, elegant wines that pay homage to Old World winemaking but remain true to their California roots.